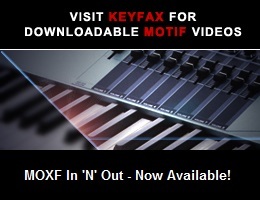 Viewing topic "Motif Song Database"
when I fist started with my MO6 a few years back, I remember there was a database to share songs (live Voices/Mixes for On-stage) for Yamaha Keys. Once you shared a Song, you would get access to the database. I remember having access to that and since I now have a Motif XS8, I was wondering if anyone of you knows if this still exists and point me into the right direction? I’m not aware of what you’re asking about - hopefully another member will have some insight.